Here at Future-ish, we love forward thinking and we love farming. So, to satisfy our little fetish for inspiring agricultural architecture, we started a special collection of posts called Farm Forward. Know of a farm or farmhouse that deserves some attention? Drop us a line and we'll add it to our collection. 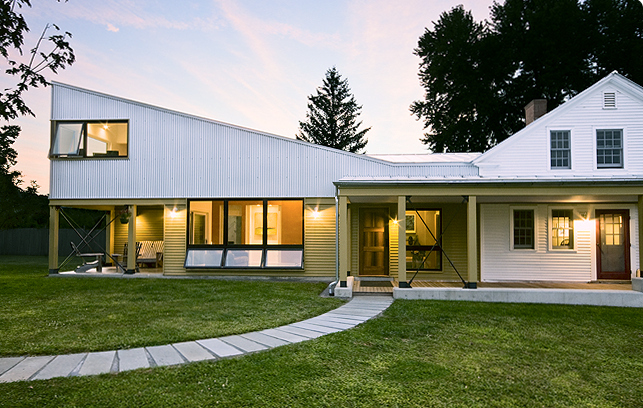 Village Farmhouse in Burlington, VT by Birdseye Design is a successful mashup of traditional and modern architecture.